Patriarch of Moscow and all Russia, Kirill plans to visit Georgia. Details of the Russian church’s visit to Georgia will be known in two weeks, Georgian patriarch’s protopresbyter, Tbilisi Theological Academy Rector Giorgi Zviadadze told journalists on Friday. “When a new patriarch is enthroned in line with tradition, he visits all the local churches. These for example, are the Constantinople church, Alexandria church, Jerusalem church, Georgian church, Serbian church, Romanian church and Bulgarian church. This is a manifestation of brotherhood and unity. 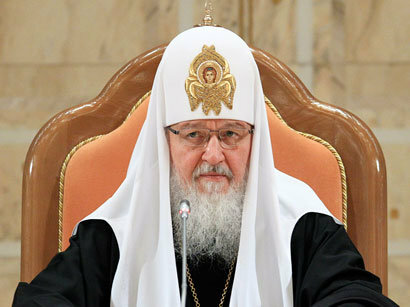 Kirill has not yet been to Georgia since becoming patriarch of Moscow and All Russia and that is why he will visit Georgia as a new patriarch,” Zviadadze said. He went on to add that Catholicos Patriarch of all Georgia, Ilia II will send his representatives to Moscow for further details of the visit.